This is not a fail pic this is a motivational poster...learn where to post you douche! It's a Fail because you aren't supposed to use correct punctuation or spelling when posting on the Internet. Overly.... cute.... puppy........ sapping my..... very....... will to live........ Must...... try...... to resist. 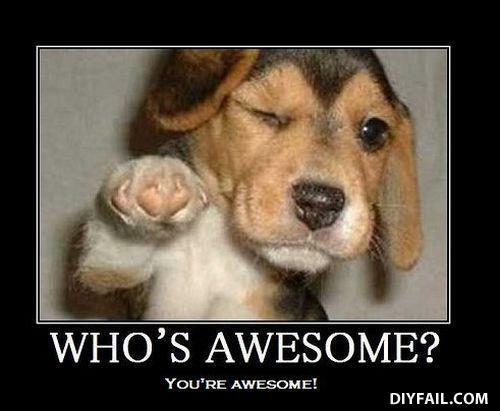 The fail is that you actually aren't awesome at all.